Lock in a great price for Serrambi Resort – rated 8.6 by recent guests! 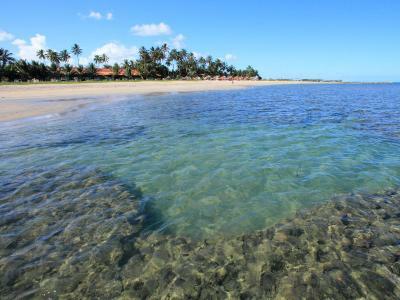 Located on an almost exclusive cape some 20 minutes South of Porto de Galinhas Serrambi Resort has all that Porto de Galinhas has like natural pools, coral reef, nice sunset etc, without the crowds of noisy tourists. The food in the restaurant is good, but being half board it can get a bit noisy. Overall the experience was great. Staff was for the most part very friendly, accomodations were good and requests were fulfilled right away. Food (included breakfast and dinner) was good considering it is meant for a lot of people. The beach is fantastic for shallow water snorkeling . Great for kids. Good swimming pool, beach, hotel restaurant. Staffs are helpful even they speak less English. Room is big and clean. Staff is cheerful and helpful. 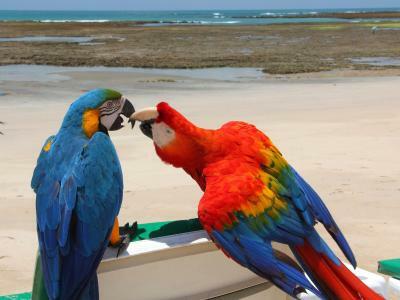 They also have good activities for kids and a great deal of boats to rent. 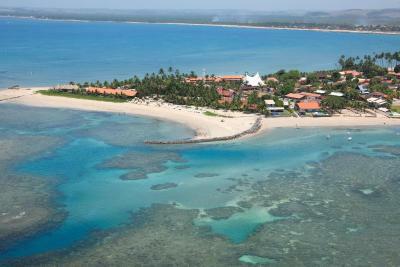 Hermoso y comodo resort! Atencion impecable, ideal para ir con familias! 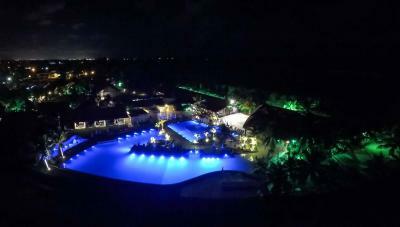 Very beautiful spot, marvelous beach, very nice pool, very nice garden, friendly staff, especially for the kids, very safe, we had a wonderful time and highly recommend this resort. It is in the middle of nowhere but this was perfect for us. It was our second time at Serrambi Resort. 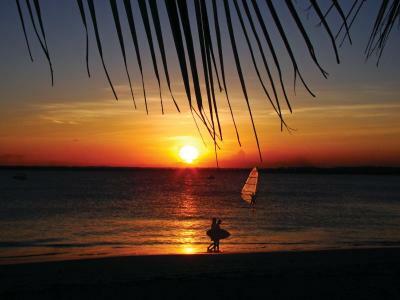 The staff, the beach and the food are great ! 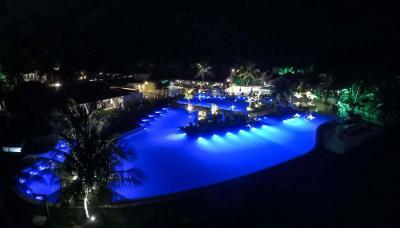 It is a great resort to rest, that's the main point of it (even though they have a very good group to animate). I love coming here, the privacy and security really make a difference. 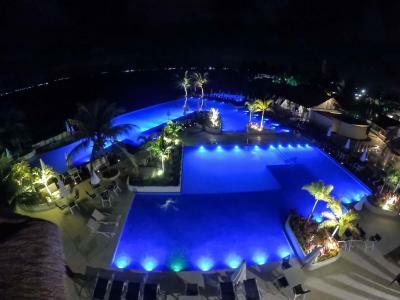 Serrambi Resort This rating is a reflection of how the property compares to the industry standard when it comes to price, facilities and services available. It's based on a self-evaluation by the property. Use this rating to help choose your stay! 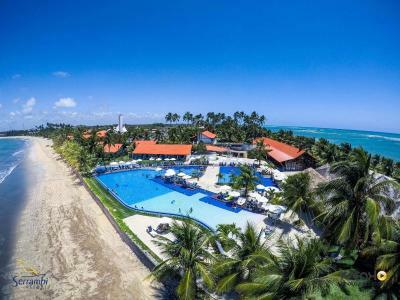 One of our top picks in Porto De Galinhas.Featuring half-board accommodations in stylish apartments with balconies overlooking the sea, Serrambi Resort is located just 5.6 mi from Porto de Galinhas, in Pernambuco, and includes free WiFi and free parking. All spacious rooms include a cable TV, a mini-bar and air conditioning. The private bathrooms include a hot shower. 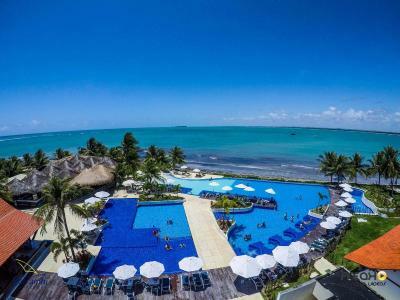 Guests can enjoy a large outdoor pool and fitness center, as well as diving facilities.There are also tennis courts, beach volleyball courts and a soccer field. Boat trips to Ilha de Santo Aleix and other nearby sites can be arranged, and quality food and drinks are served at the hotel's restaurant and bar. 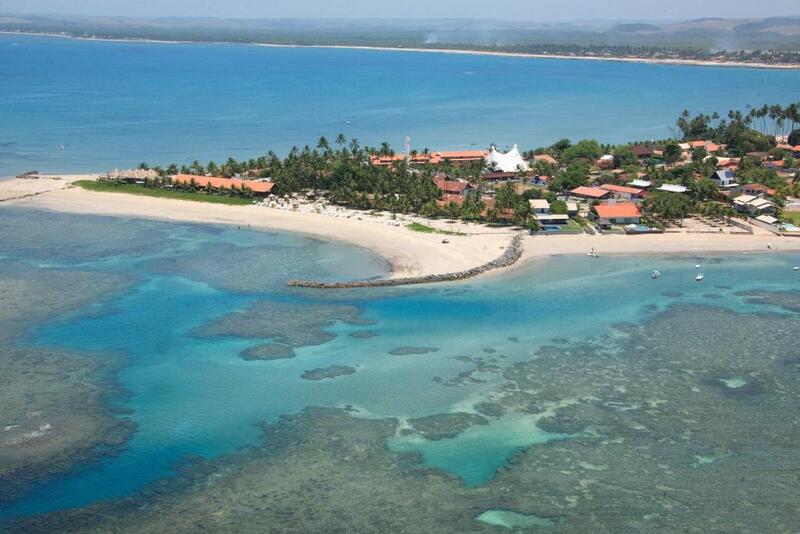 Resort Serrambi is located 2.5 mi from Maracaipe's Beach and 4.3 mi from Merepe Beach. Recife International Airport is 37 mi away. When would you like to stay at Serrambi Resort? 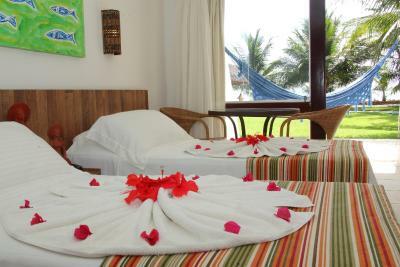 With a balcony, this air-conditioned room features a minibar, cable TV and a private bathroom. With a balcony, this air-conditioned room features a safe, cable TV and a private bathroom. Featuring a balcony with a hammock and sea views, this air-conditioned room offers a mini-bar, a cable TV and a private bathroom. Serrambi is a spit advancing over the sea on one side fully protected by coral reefs forming natural pools of irresistible clear warm waters and on the other hand, a quiet cove, ideal to practice all water sports anytime. House Rules Serrambi Resort takes special requests – add in the next step! Serrambi Resort accepts these cards and reserves the right to temporarily hold an amount prior to arrival. The original rooms (even Superior) are rather old. with noisy a/c. We paid a rather high extra to get an upgrade to the newly renovated rooms with much higher standard the last two nights. Lunch options were few and expensive. Regulating the water temperature in the shower was impossible. I took very hot showers everyday which is not to my liking, specially after I became a bit sunburned. Impossible to get table service. The restaurant ‘s staff is nice but it seems they are never there to take your order. No hot water for most of my stay. 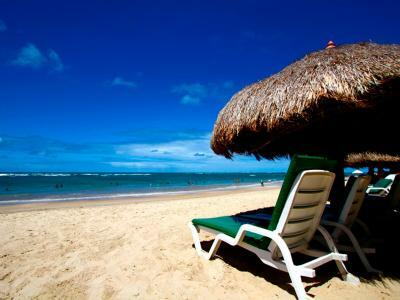 Pools, Beach and restaurant areas are excellent. The air conditioning in our room couldn't be regulated, it was so strong that we had to switch it off during the night in order not to get ill. But without air conditioning it was too hot.... But this was the only negative point of the resort. Huge parts of the hotel are under construction. The main beach and playground are very much affected by construction noise.